We’re staffed with experienced and highly trained, full-time associates. Customer Service Representatives are available from 8:00 am to 5:00 pm, Monday through Friday. Customer Resolution Confirmation: It is Gold Coast’s policy to follow up with customers to confirm that the service request was resolved to your satisfaction. 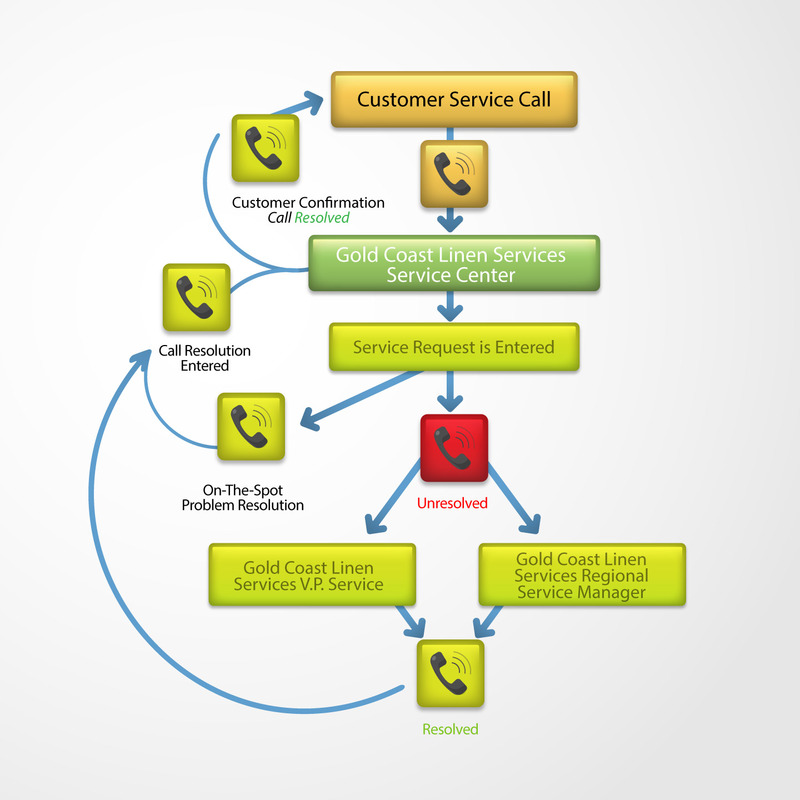 See our full Customer Service Center process detailed in the diagram below.